Morgan died peacefully in my arms, with the help of my special friend, my veterinarian Fiona. RIP, Granny. Run free and happy. 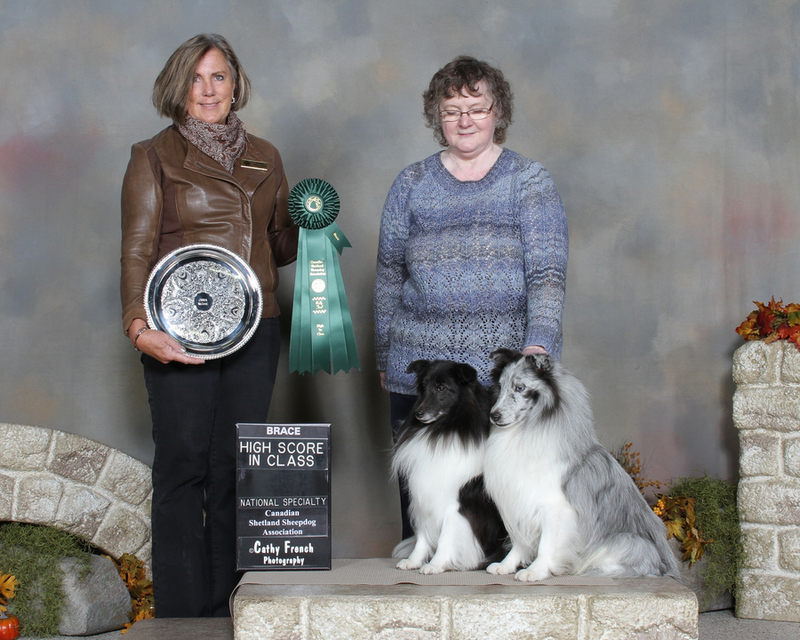 Morgan, at 12 1/2 years young, completed her Rally Intermediate title at BRCA and the SSFC specialty at Sheltie Extravaganza, October 2016. Entered in four trials, she qualified at all four! Morgan & Dusty, HIC Rally Brace at CSSA National, October 2016. 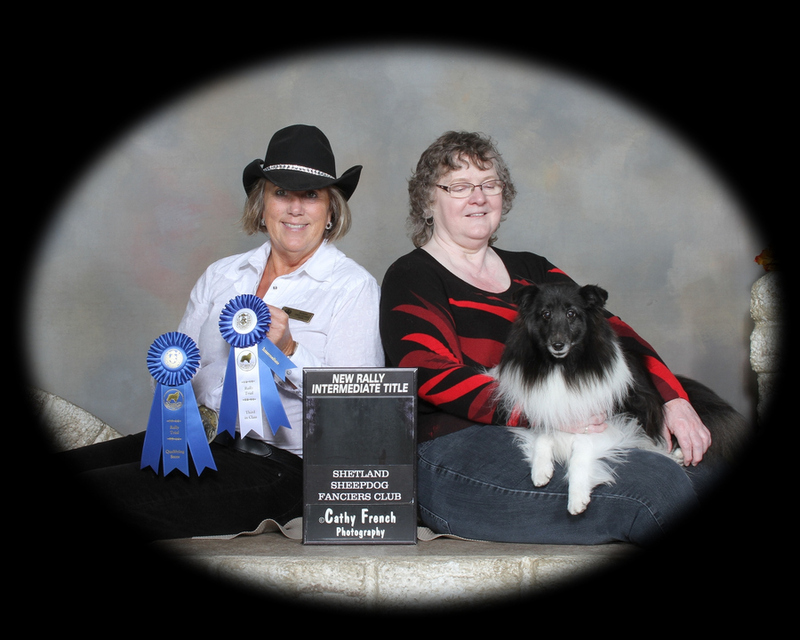 Morgan & Dusty, obedience brace, and Veterans class qualifiers, CSSA National, October 2016. Thanks to Charlene Lang for helping with Veterans sits & downs, and this picture. Morgan & Dusty, rally brace, SSFC specialty October 2016. Morgan is 12 1/2, her son Dusty nearly 10. Thank you, judge Susan Des Cotes, for our perfect score of 100. Fun with the oldies! At the Grande Prairie trials, Morgan and I ran 2 Rally Novice B runs and earned nice scores, completing her RN title! At her 2nd Rally Novice trial, Morgan earns another perfect score at CSSA National 2010! 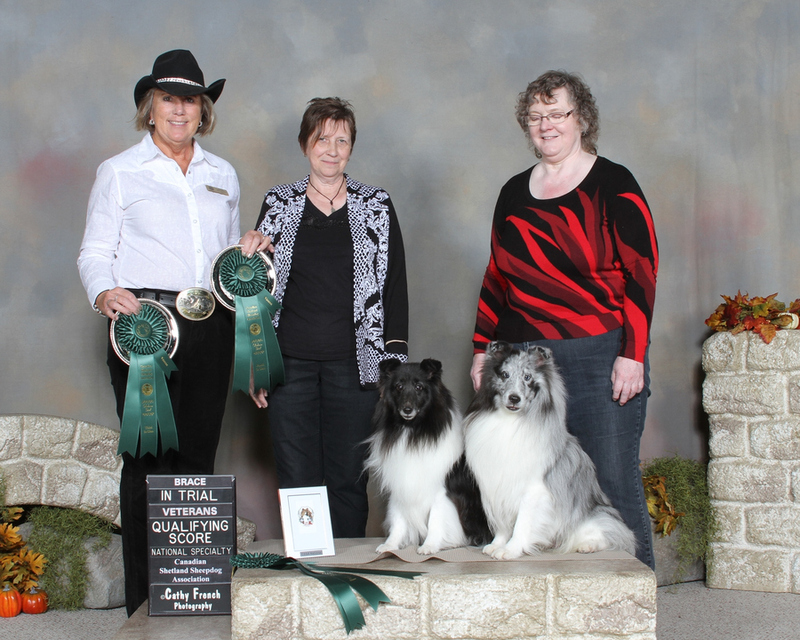 At her first Rally trial, Morgan earned a perfect score of 100 at the Edmonton Shetland Sheepdog Fanciers Club specialty trial! Pictured finishing her championship - thank you Karen Chant for handling Morgan to her final points! 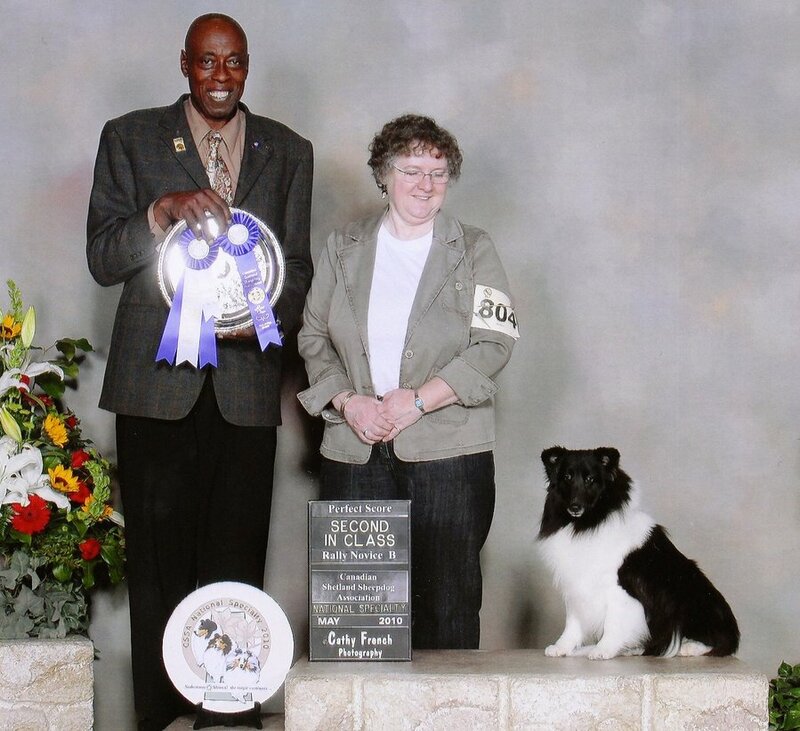 From her 1st litter, Morgan congratulates her first champion, Dusty. 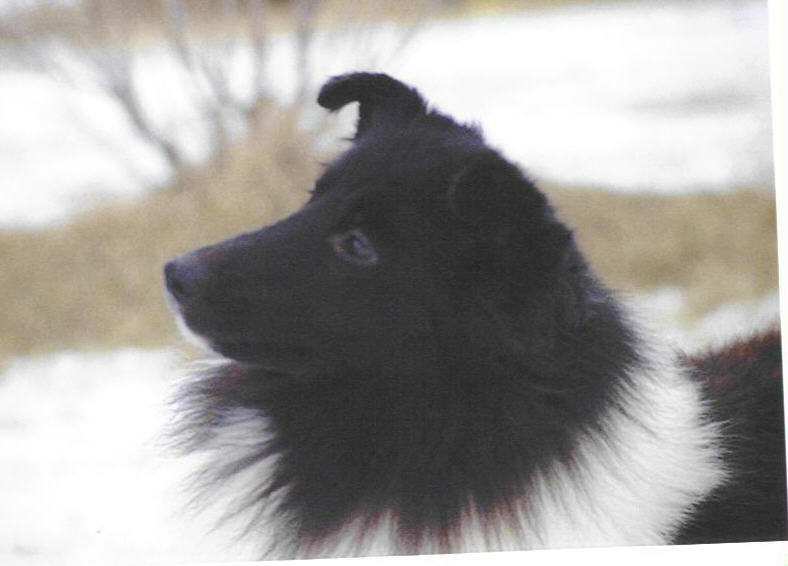 Morgan is proudly co-bred and co-owned with Pamela Cazes of Kimicko (Perm. Reg.) Shelties. Morgan is the first bicolour - and the first biblack champion - for Liska. 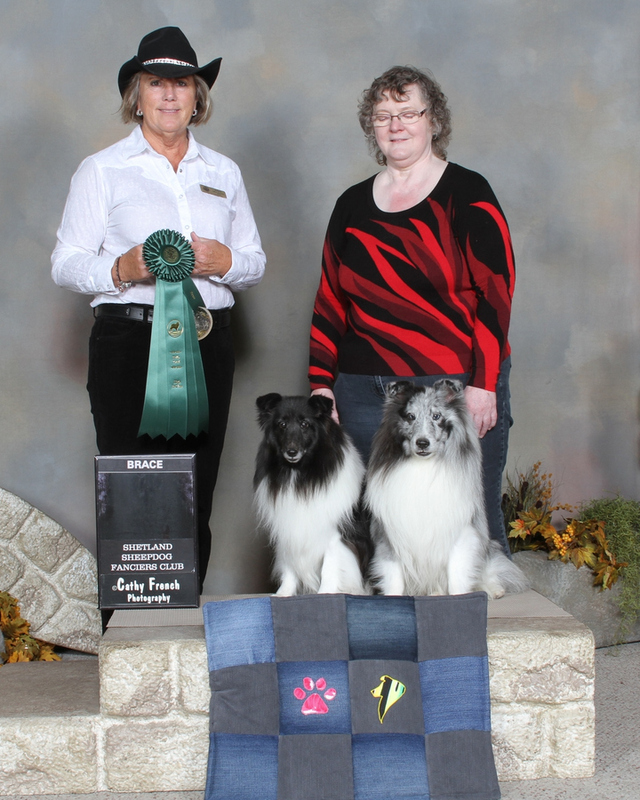 Thanks to Karen Chant for showing her to her final points at Edmonton Kennel Club (Sept. 06) with BW. Morgan is the 3rd breed champion for her sire, and the 4th for her dam. 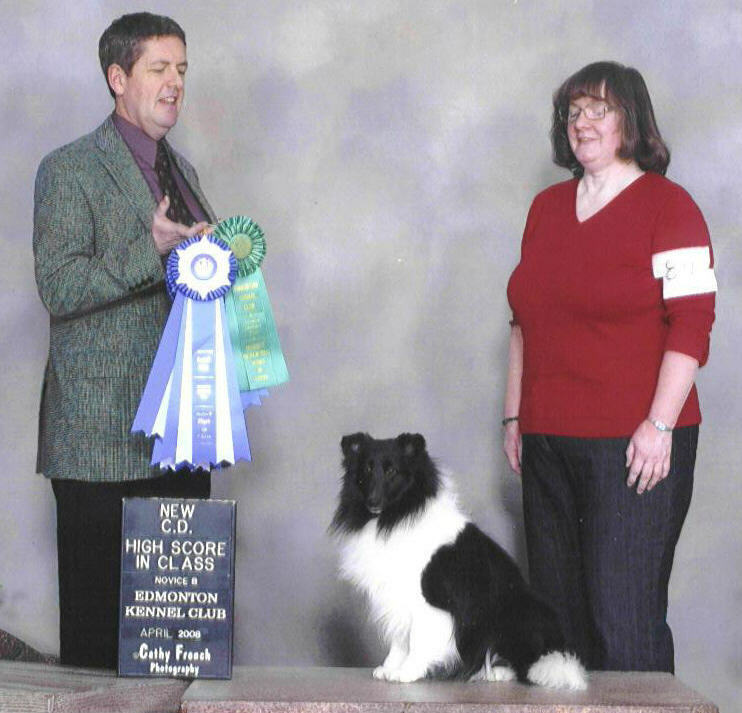 Beauty and brains - Morgan earned her CD at Edmonton KC (April 08), with 2 HICs and a 2nd in Class. 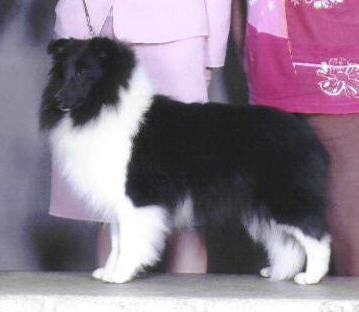 She was also High Scoring Sheltie with a score of 195! And ..... High Aggregate in Novice B! Pictured at 1 1/2 years - photo by Derek DiCiacca.